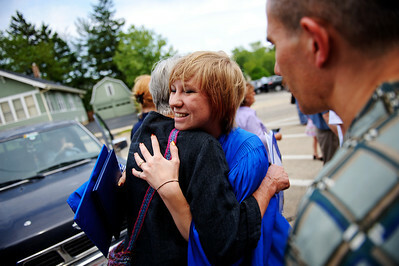 Daniel J. Murphy - dmurphy@shawmedia.com Adi Hicks, 17, (right) hugs her grandmother Susan Tauck following the 135th Commencement Ceremony Sunday May 20, 2012 at Woodstock High School. 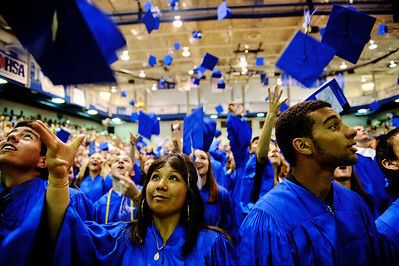 Daniel J. Murphy - dmurphy@shawmedia.com Justine Aparri, 17, (center) tosses her cap following the 135th Commencement Ceremony Sunday May 20, 2012 at Woodstock High School. Daniel J. Murphy - dmurphy@shawmedia.com Senior class president Kelly Berger tears up during her speech at the 135th Commencement Ceremony Sunday May 20, 2012 at Woodstock High School. 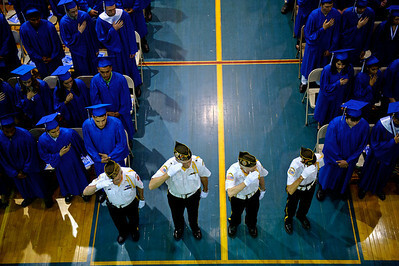 Daniel J. Murphy - dmurphy@shawmedia.com The color guard salutes the American Flag during the National Anthem during the 135th Commencement Ceremony Sunday May 20, 2012 at Woodstock High School. Daniel J. Murphy - dmurphy@shawmedia.com Graduates listen to Andrew Hughes deliver the Valedictory Address during the 135th Commencement Ceremony Sunday May 20, 2012 at Woodstock High School. Daniel J. Murphy - dmurphy@shawmedia.com Band member Delia Sargeant, 14, (center) passes the time by finishing her math homework during the 135th Commencement Ceremony Sunday May 20, 2012 at Woodstock High School. 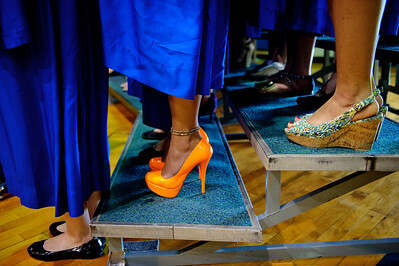 Daniel J. Murphy - dmurphy@shawmedia.com Choir singer Krystal Sanke (center) sports bright orange shoes while singing the school song during the 135th Commencement Ceremony Sunday May 20, 2012 at Woodstock High School. 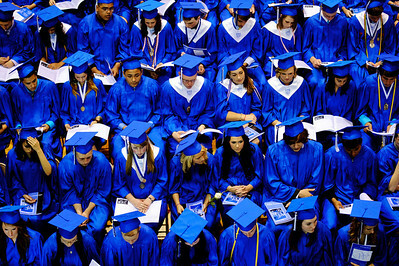 Daniel J. Murphy - dmurphy@shawmedia.com Graduates in their seats during the 135th Commencement Ceremony Sunday May 20, 2012 at Woodstock High School. 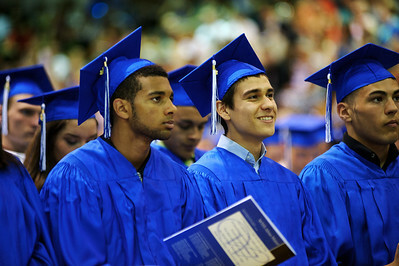 Graduates in their seats during the 135th Commencement Ceremony Sunday May 20, 2012 at Woodstock High School.